Pretty in pink has never been more effortless with this natural morganite pendant. 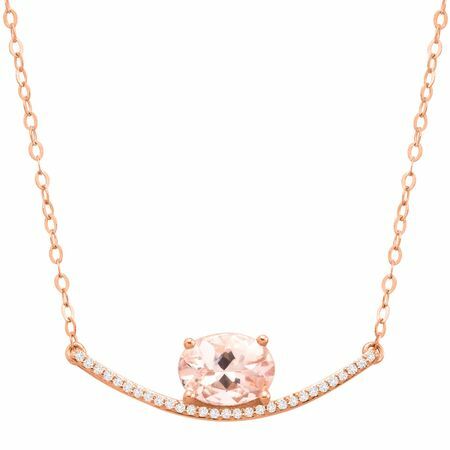 This charming necklace features a 1 1/10 ct oval-cut natural morganite atop a curved 10K rose gold bar sprinkled with round-cut diamond accents. Makes a lovely addition to your favorite shirt or evening gown. Feature piece measures 5/16 by 1 1/16 inches with a total length of 17 inches.